China Stories: China is Just Better: Watch a Massive Beijing Overpass Retrofitted in Under 2 Days!!! 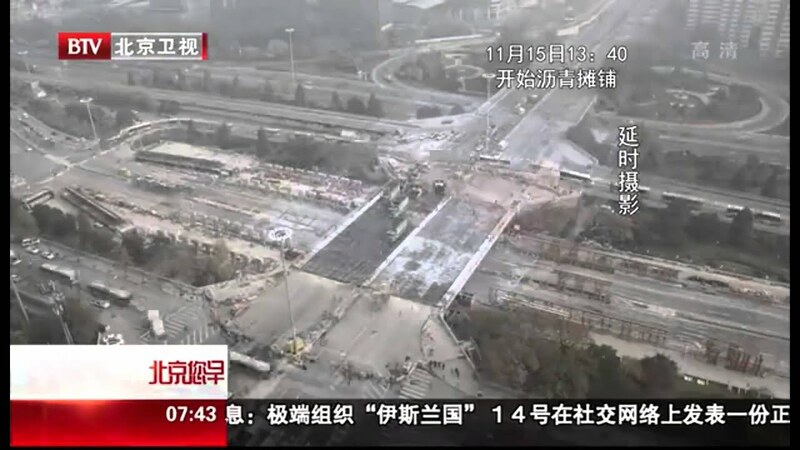 China is Just Better: Watch a Massive Beijing Overpass Retrofitted in Under 2 Days!!! The refurbishment of Beijing's Sanyuan Bridge, or Sanyuanqiao started at 11p.m. on Nov. 13, 2015. The whole reconstruction process completed within 24 hours. Over 1300 tons of new surfacing for the bridge have been transported to the construction site to replace the old surface.